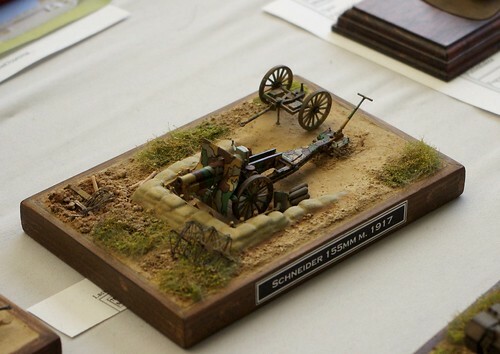 The Moson Model Show is an annual event that occurs during the month of April. This is one of the biggest European model shows that attracts many artists and people interesting in modeling from all around Europe. This is no exaggeration because the organizers of the event were sending out large maps to the attendants of the event where they were to pin the European country from which they came from and there was not one country that did not receive a pin. This was truly an event that was organized on a major scale. The main stage was composed of aircraft, tanks, dioramas and all types of figures. Ships and civilian vehicles did not fit at the main stage as there was not enough room to place any tables for these figures, so these categories took place upstairs. The entire show lasted for two days, however 30 minutes after the doors opened to the public, the entire building was completely occupied with people. A few hours later, there were so many models on display that they were practically sitting on top of one another. Even with everything being so crowded, it was quite easy to take pictures following the initial opening of the show, however a few minutes later the swarm of people that came to see the show made it impossible to photograph models throughout most of the remainder of the day. Just like any big show, after a while it seems to look like a stock exchange because it is filled with people and there is an enormous amount of transactions occurring due to the extremely high number of stores. It is therefore no surprise that the entire crew departed from the show without any sort of money left in their pockets. 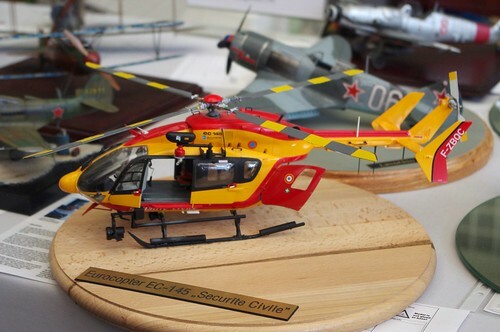 To learn more about this event, you can visit http://ipms-warszawa.pl/moson-model-show-2015/.